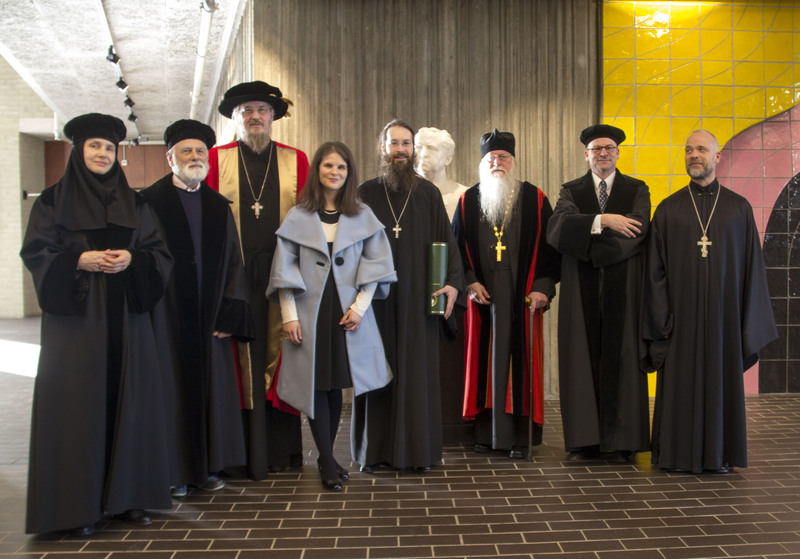 The first person to defend his PhD dissertation at the Amsterdam Centre for Orthodox Theology, Father Alexandros Chouliaras, received his PhD degree on 7 February in the Aula of the Vrije Universiteit in Amsterdam. The dissertation discusses the anthropology of Saint Gregorios Palamas. 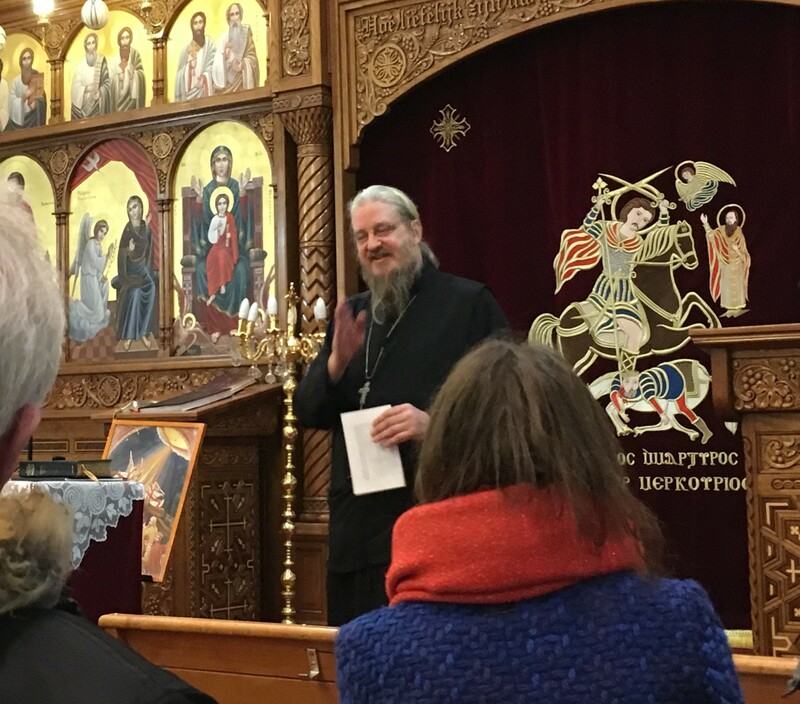 From 9 – 13 January the inaugural conference of the International Orthodox Theological Association (IOTA) was held.in Romania. IOTA is a community of church leaders, scientists and professionals, established with the aim of promoting a worldwide exchange of knowledge within the context of the Orthodox tradition. Among the participants were Fr Andrew Louth, Fr Michael Bakker and Fr Joan Lena, on behalf of ACOT. Around 300 presentations on a high academic level were given in over 50 meetings by participants from 30 different countries, covering a wide range of subjects. 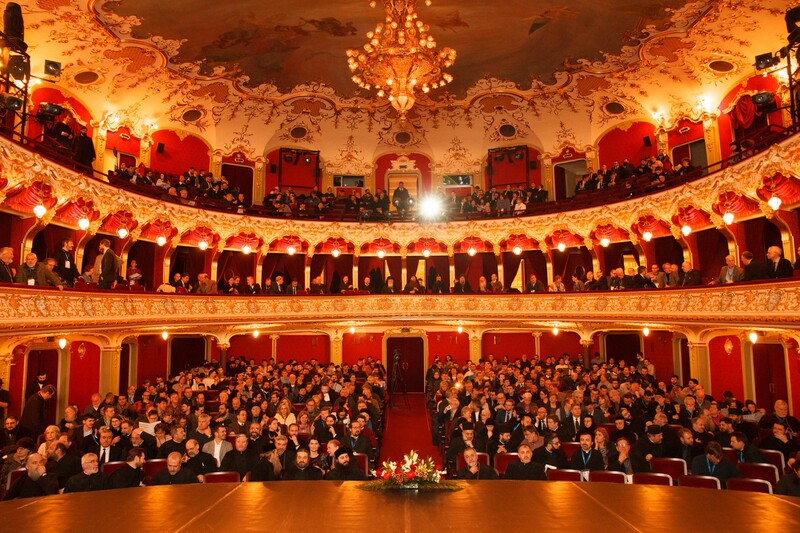 The keynote address was delivered, in the beautiful Opera House of Iasi, by Metropolitan Kallistos Ware, after whom the Chair in Orthodox Theology at the Vrije Universiteit Amsterdam is named. On the 7th of February 2019 Father Alexandros Chouliaris, priest from Athens, will defend his PhD dissertation with the title ‘The Anthropology of St Gregory Palamas: the Image of God, the Spiritual Senses, and the Human Body’. Principal supervisor is Father John Behr, co-supervisors are Father Andrew Louth and Father Michael Bakker. The ceremony will take place at 13:45 hours in the Aula of the Vrije Universiteit Amsterdam. Please register via this page. On Thursday 7 Februari, following the PhD Defense and reception of Father Alexander Chouliaras, Norman Russell will deliver a lecture on the subject ‘Saint Gregory Palamas: a theologian for our times’. 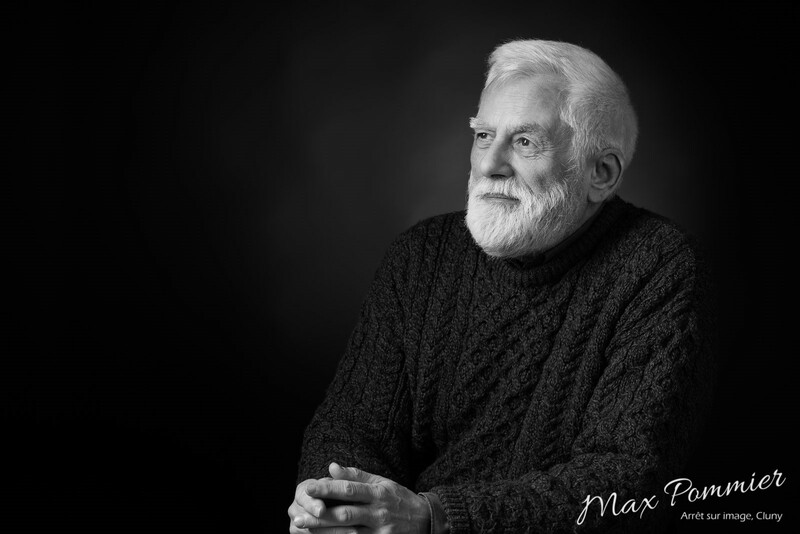 Norman Russell is a Honorary Research Fellow at St Stephen’s House, Oxford. He is a noted patristics scholar and translator of contemporary Greek philosophers and theologians. The lecture starts at 16:30 hours. Please register via this page. 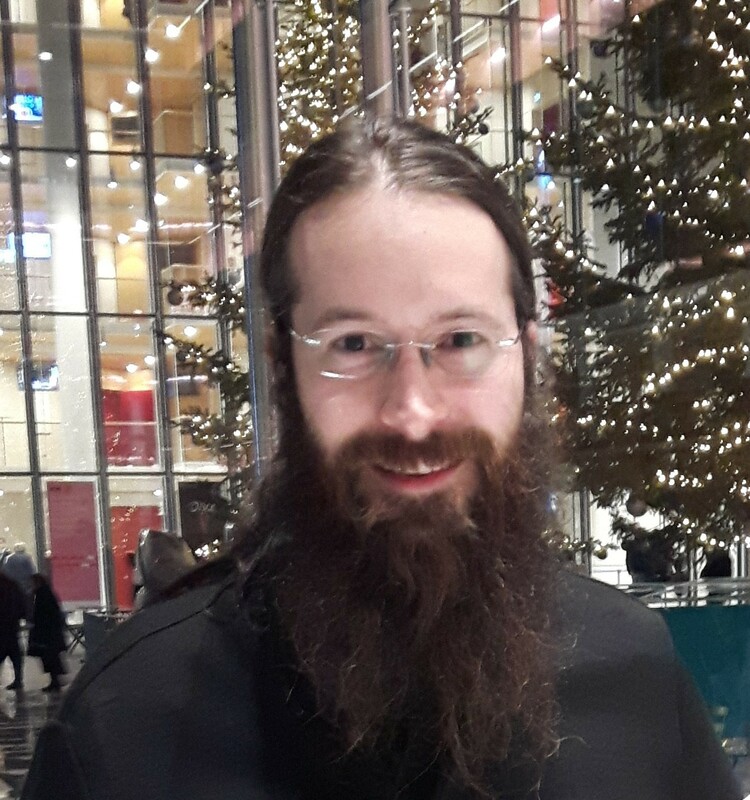 On 8 February 2019, Father John Behr will deliver a lecture on the theme ‘Male and Female’: “Genesis speaks of God creating the human being ‘male and female’, and yet the Apostles says that in Christ there is ’no male and female.” The lecture will take place at the Coptic Church in Amsterdam and starts at 19:00 hrs. If you’d like to attend this lecture, please register via this page. Enrolment for the Pre-master/Minor programme Orthodox Christianity 2019-2020 is opened. This one-year course offers an introduction to and an overview of Orthodox Christianity. The programme can be followed separately, or as a preparation for the Master programme ‘Spiritual Care’, offered by the Vrije Universiteit. For more information and enrolment, please check the Programmes page on this website.